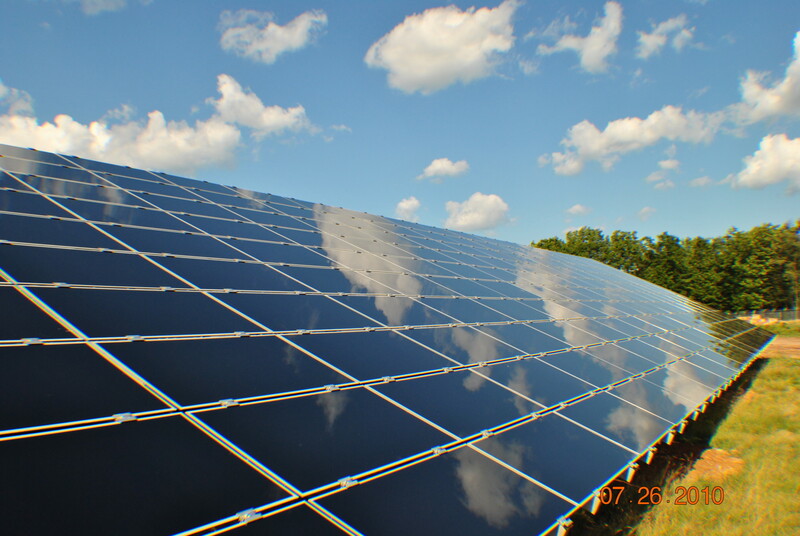 The Pocono Raceway Solar Project marks an important milestone for EDF Renewables, Pocono Raceway, and NASCAR. As the first solar project for EDF Renewables in Pennsylvania, it reflects the NASCAR industry’s collaborative approach to preserving the environment and highlights Pocono Raceway’s particularly significant contribution as the first major United States sports venue to utilize 100% renewable energy. The 3 MWp ground-mount system is comprised of 40,000 thin-film solar panels and sits adjacent to the racetrack on 25 acres of land, making it the world’s largest renewable energy stadium project. It produces 72 million kWh of energy from 2010 until 2030 – enough to provide electricity for 1,000 homes in addition to the racetrack.